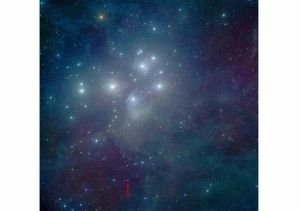 The Pleiades star cluster, in the constellation Taurus, is well-known in many cultures. 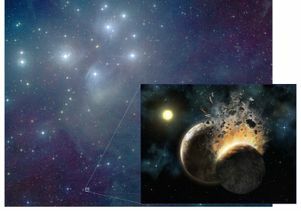 It is named for the seven daughters of Atlas and Pleione, who were placed by Zeus among the stars in Greek mythology and is cited in the Bible — "Can you bind the beautiful Pleiades? Can you loose the cords of Orion?" (Job 38:31). The automaker Subaru's name is the Japanese word for the Pleiades, Rhee said. The Gemini Observatory is an international collaboration utilizing two identical 8-meter telescopes. The Frederick C. Gillett Gemini Telescope is located at Mauna Kea, Hawaii (Gemini North); the other is at Cerro Pachn in central Chile (Gemini South). Together they provide full coverage of both hemispheres of the sky. 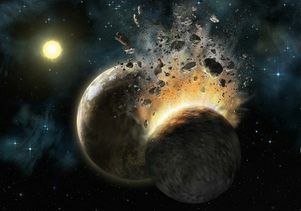 Both telescopes incorporate new technologies that allow large, relatively thin mirrors under active control to collect and focus both optical and infrared radiation from space.